How do I get started with Email Marketing? Getting started is quick and easy, you just need to set up a account at ASPHostPortal.com. Once logged in you can upload your opted in mailing list, select a template for your email and send it out. Can I send out bulk email, mass email or an email blast? Email blast, bulk email and mass email are terms that are better known as email marketing. You can send bulk email in accordance with the capacity plans that you select. Can this services be used for unsolicited bulk email (spamming)? This services was not designed as a SPAM tool, and it would be illogical for it to be used as such. This services has been designed as an online, value added service for a range of functions, including personalized opt in marketing to clients and in-house communication with colleagues, as well as private use. Yes, you can pay this services with PayPal. How this service different with the email service you offer on your shared hosting plan? 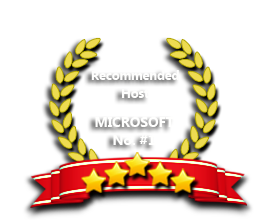 The email service that we offer under our shared hosting plan is different with this enterprise email plan. The differences are in terms of its purpose, total number of emails per day and technology used. The Enterprise Email plan does support IMAP and it supports the capability to send huge amount of emails per day (> 1000 emails). If you are trying to send this amount of emails under our shared hosting plan, your account will be suspended directly or your emails will not be delivered all.